St. Andre Bessette Parish hasn't added a story. We ask you to help us with financial support and be a part of history!!! As we come together to celebrate the legacy and honor the First Canadian-born male Saint, BrotherAndré opened the door of God’s love, blessings and gift of healing to those around him. It is now time to open a new door and build the first St. André Bessette Church in Ontario, Canada to impart blessings, spiritual healings, and proclaim the good news or Kerygma. 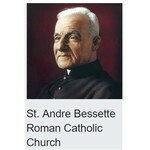 On September 8, 2013, the First Parish of St. André Bessette was established in the Archdiocese of Toronto. Since then, the community has grown very quickly from 250 families in the first year to over 1100 families four years later. We currently gather to celebrate Sunday Masses at St. Cecilia Catholic elementary school. It is not by chance that St. Joseph and Brother Andre wish to see a beautiful Church built amongst a diverse community in the cities of Vaughan and Richmond Hill Ontario. The church will be a place of homage, prayers, conversions, and many miracles in honor of God our Father and our Lord Jesus Christ. Our goal is to raise $500,000, however, if we can surpass that amount then fantastic, as our total cost to build the Church will run between $12-14 Million. To date, our local families have raised $2.9 Million in and we are just $1.2 million shy to begin construction starting in the fall of 2020. Together we can make the Church a reality, your monetary contribution will help us achieve the goal of laying the 1st cornerstone in the fall of 2020. We now say it takes a global village to partake on this journey and we entrust that God will bless you as he sees your intentions. Please help us make this a reality and we will pray and entrust that St. Joseph and St. Andre Bessette intercede on your behalf for your needs and the needs of those beloved ones you pray for. Christ is Risen and may God Bless You!!! St. Andre Bessette Parish hasn't posted any updates yet. St. Andre Bessette Parish is managing the funds for this campaign.